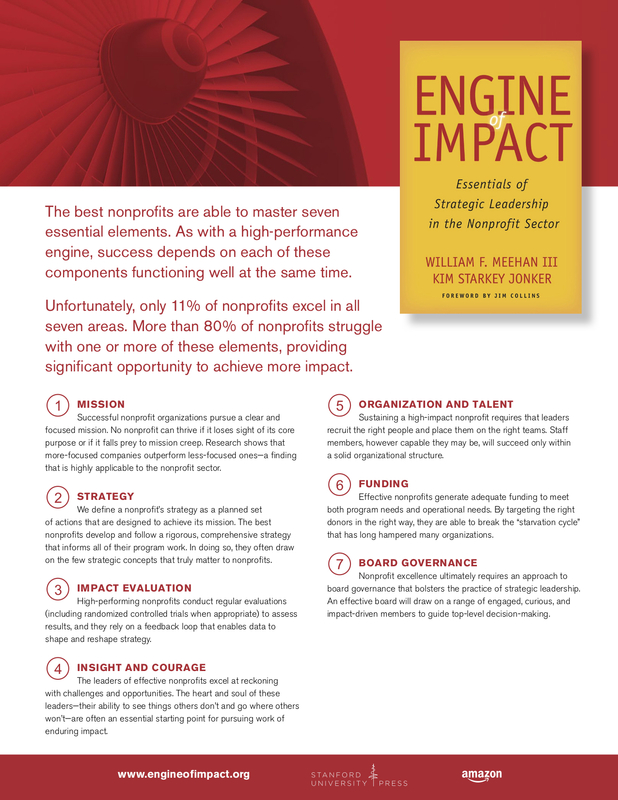 Organizational performance in the essential elements of strategic leadership varies widely across the nonprofit sector. This report—based on a survey of more than 3,000 stakeholders in the sector—highlights key challenges and opportunities for nonprofit leaders. Should a philanthropic organization aim for perpetuity, or should it plan to spend down its assets? To answer this question, philanthropists and foundations need a solid understanding of the relationship between annual payout, market performance and volatility, and the anticipated longevity of their endowment. Here is a tool to help them develop that understanding. A one-page PDF summary of the seven essential elements of strategic leadership, adapted from Engine of Impact.